Holy Bible in English; Main title page missing. 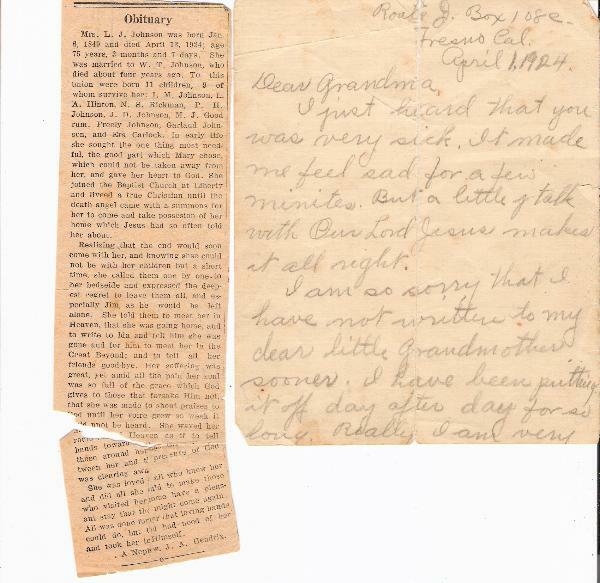 Henly of ___ On Feb. 9, 1910. At Scottsville, Ky. By Rev. Meadow. 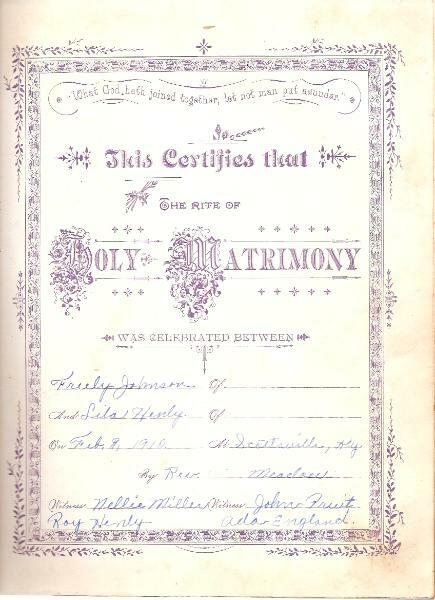 Freely Johnson was married to Lila Mae Henly Feb. 9. 1910. 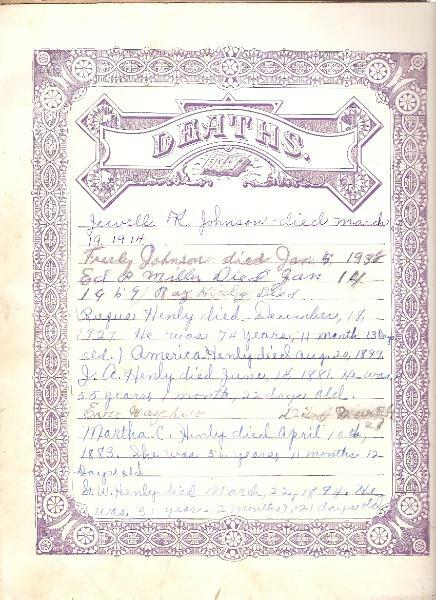 Robert Johnson was married to Quintilla Pitchford May 14, 1938. 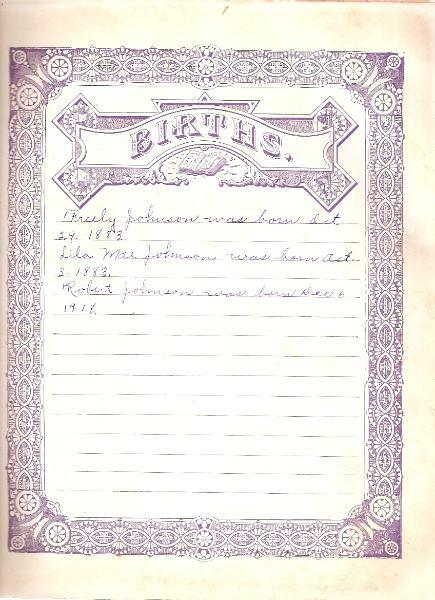 Freely Johnson was born Oct 29. 1883. Lila Mae Johnson was born Oct. 3. 1883. Robert Johnson was born Dec 6. 1918. Jewell R. Johnson died March 19. 1914. America Henly died Aug. 20, 1899. J. 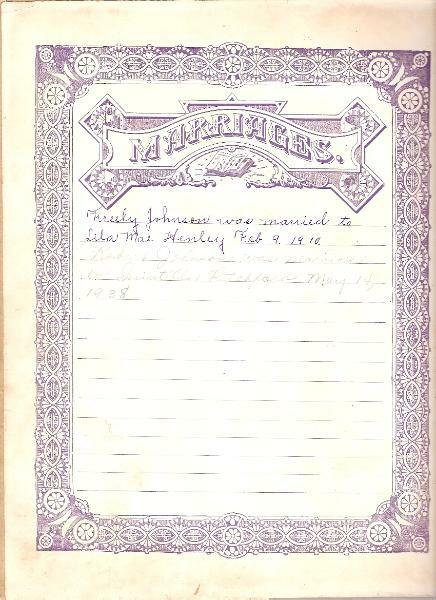 A. Henly died June, 14, 1881. He was 55 years, 1 month, 22 days old. G. W. Henly died March 22, 1894. 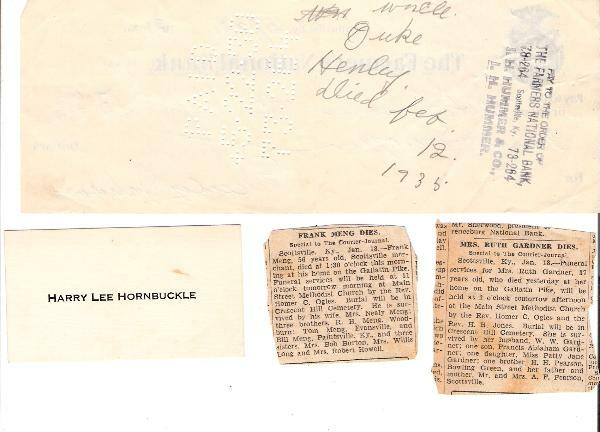 He was 31 years, 2 months, 21 days old.